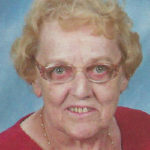 Grace M. Berna, 81, Pulaski, died peacefully Saturday, March 30, 2019, at Good Shepherd Nursing Home in Seymour. The daughter of Mike and Anna (Kurutz) Berna was born June 20, 1937, in Pulaski. After graduating from Oconto Falls High School, Grace moved to Milwaukee and Janesville, and then worked at Provimi Veal in Isaar until her retirement. 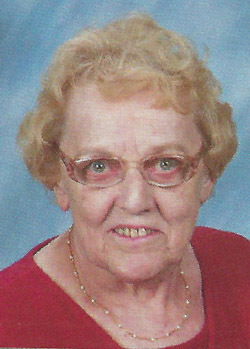 She enjoyed bowling, playing cards, bingo, and board games, and listening and dancing to polka music. Grace also liked doing crossword puzzles. Survivors include three sisters and one brother: Helen (Jim) Zajac, Pulaski, Esther Baugnet, Oneida, Mildred (Jack) Wildt, Montello, and Gerard “Jerry” Berna, Green Bay; several nieces and nephews, other relatives and friends. In addition to her parents, Grace was preceded in death by an infant brother, John Berna; a sister and brother-in-law, Irene (Ray) Thompson, Sr.; brother-in-law, Ken Baugnet; sister-in-law, Marilyn Berna; three nephews: Michael Wildt and Ray Thompson, Jr. and Christopher Thompson. Friends are invited to gather with the family at Assumption B.V.M. Church, 119 E. Pulaski St., Pulaski, from 10:00 -11:00 a.m. Wednesday, April 10th. The Funeral Mass was celebrated at 11:00 a.m. Wednesday, April 10th at Assumption B.V.M. Church in Pulaski, Fr. Patrick Gawrylewski, O.F.M. presiding.